For the 4 satellites, Thales Alenia Space will provide the SAR Payloads and the platform elements (especially for Control Momentum Gyro and sensors) derived from the HE-R1000 product (High Efficiency Radar), part of the Thales Alenia Space Observation product family that includes both radar and optical satellites. This technology will enable short revisit times for each of the satellites, and support all-weather operation, with a very high global revisit frequency. The constellation will be used by the Korean authorities for surveillance, intelligence and control of specific areas of interest thanks to the acquisition of high resolution images. Agility is one of the primary assets for advanced missions entrusted to this new generation of high-resolution surveillance satellites. Based on an active feed array and reflector antenna innovative solution, the satellites ensure superior quality images, while unique agility capability is provided thanks to the adaptation of a control momentum gyro: a spinning rotor and one motorized gimbal tilt the rotor’s angular momentum. As the rotor tilts, the changing angular momentum causes a gyroscopic torque that rotates the spacecraft. Moving around the three axes, these “dancing satellites”, will be fitted with a special antenna developed within the scope of the Thales Alenia Space Reseach & Development program. With a diameter of 5 meters, the new-generation antenna will open its 24 petals once in space. 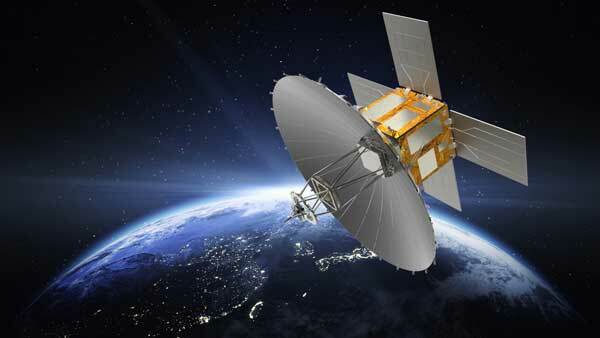 Thales Alenia Space’s participation in the 425 Project is the latest milestone in its long-standing collaboration with South Korea on a number of space programs, including KOMPSAT-5, the Koreasat telecommunications satellite family, GEO-KOMPSAT-2, KASS, etc. COSMO-SkyMed, funded by the Italian space agency ASI, the Italian Ministry of Defence and the Italian Ministry of Education, Universities and Scientific Research, is the first “dual use” Earth observation system, spanning both civil and military applications. Its four identical satellites “watch” our planet from space day and night under all atmospheric conditions, using high resolution X-band radars. Thales Alenia Space is the program prime contractor, responsible for the entire system, including the ground and space segments, and leading a consortium of companies from throughout the space industry. Telespazio developed the ground segment and hosts the Constellation Control Center at the Fucino Space Center. e-GEOS (ASI/Telespazio) is the world-wide exclusive distributor of COSMO-SkyMed data. Thales Alenia Space is currently involved in the development of the COSMO Second Generation (CSG) constellation, which represents a major generational leap in terms of technology, performance and operational life. It will provide new application possibilities, in particular for risk management and damage assessment of natural and man-made disasters. CSG Earth observation spacecraft feature state-of-the-art technologies and engineering solutions, further bolstering Italian leadership in this sector. This second-generation system, including its ground segment, will set a new performance standard for space-based radar observation systems in terms of precision, image quality and the flexibility of user services. Satellites and instruments designed and developed by Thales Alenia Space, including Meteosat Third Generation (MTG) weather satellites and the COSMO-SkyMed radar constellation, have already made a pivotal contribution to damage assessment following natural disasters, such as earthquakes, landslides and flooding, the monitoring of critical infrastructures, tracking the movement of glaciers, and monitoring illegal activities such as oil spills and the trafficking of goods or people.